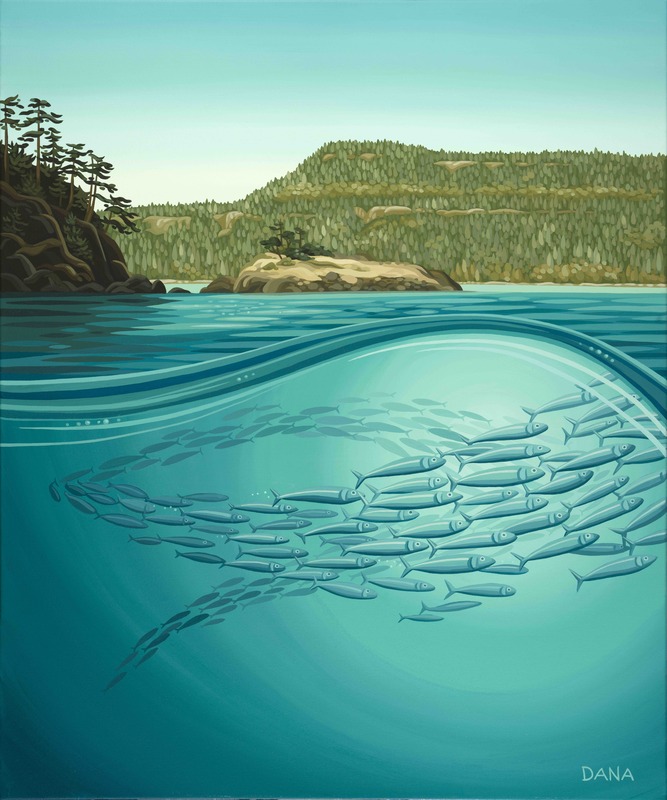 Dana Statham is a self-taught artist from the Comox Valley, currently living in Victoria, BC. 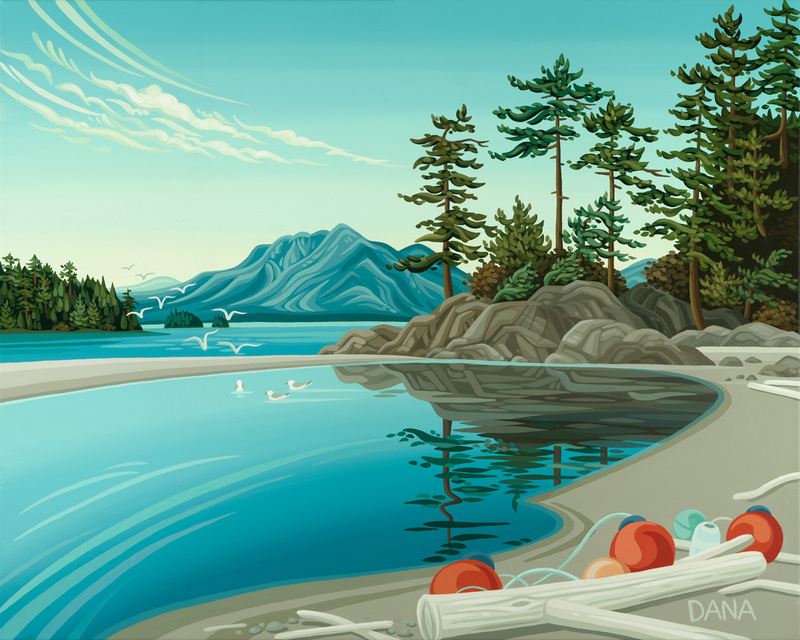 Through thoughtful observations of her natural surroundings, Dana captures vibrant west coast landscapes with acrylic paint. The bold colours she uses invoke feelings of perpetual summertime, and aim to represent her idyllic island lifestyle. 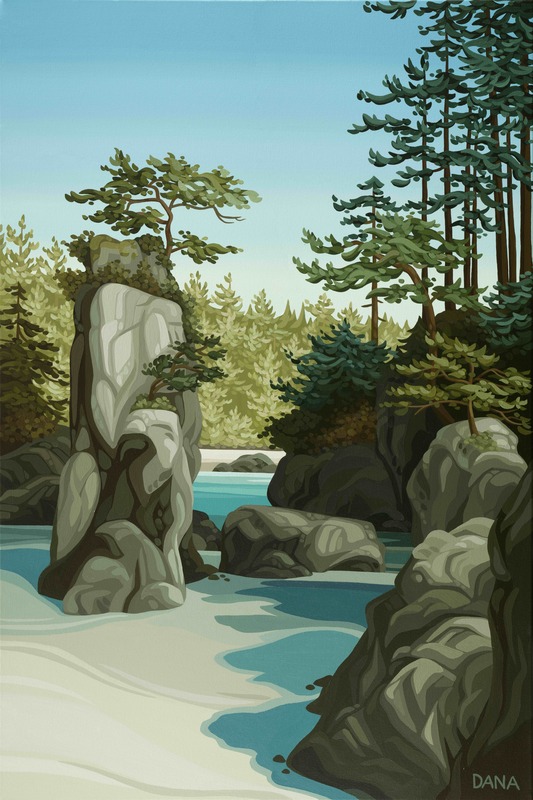 Dana is grateful for having grown up on Vancouver Island, where nature could be experienced and then expressed through creative means. 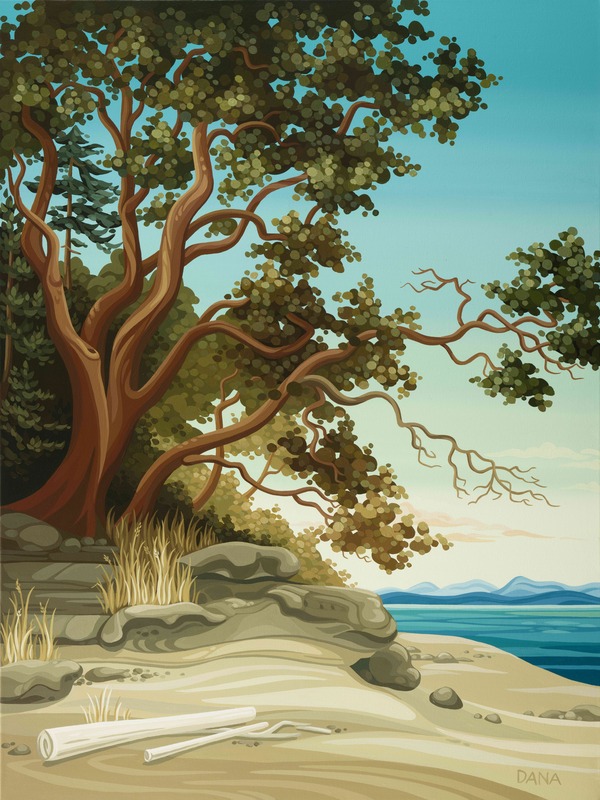 The unique gulf islands of Denman and Hornby have influenced many of her warm summer landscapes. 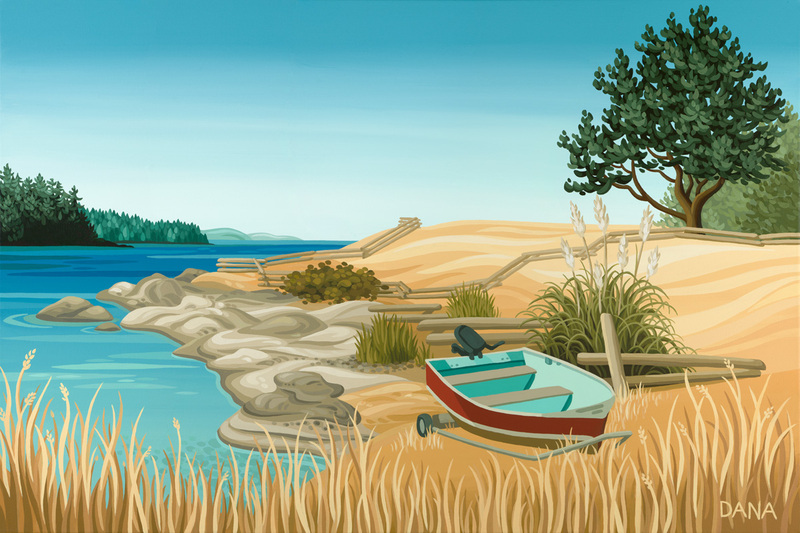 Her work has a strong island feel, and often features coastal shorelines, native arbutus trees, and underwater kelp gardens.